indeed — it’s quite hard to get to! It’s in Sifnos and while it’s quite close to the road, there’s a bit of a gorge in between. If you look closely, you can see a very ancient black stone wall/arch that was part of an ancient watchtower directly in front of the church! 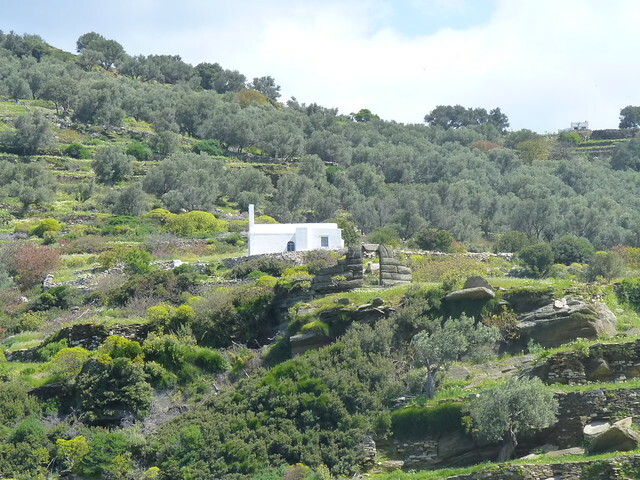 I was amazed how many churches there are in Sifnos especially in the main town! Like every one of your photos, I just love it ! May I suggest one of my favorite Greek churches? If you ever visit the island of Samos, don’t forget to visit Saint Catherine in Karlovassi hill, next to the Aegean University. I think you will love it, too. Take care.